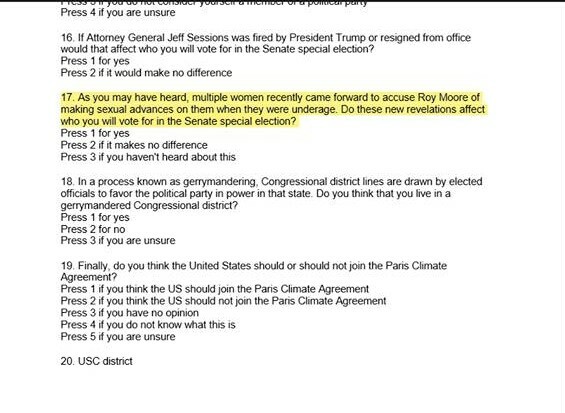 In a recent opinion poll by Emerson College Polling, former Chief Justice of the Supreme Court of Alabama, Roy Moore leads Democrat challenger Doug Jones by a double digit 10 point lead less than a month before the Alabama special election for the U.S. Senate set for December 12, 2017. This is in spite of the allegations against him where a woman said over 40 years ago he attempted to have a relationship with her when she was 14. The woman’s mother disputes a main contention in her daughter’s account. Conservatives remain suspicious of the timing of the allegations becoming public during the special election season and believe they are politically motivated. 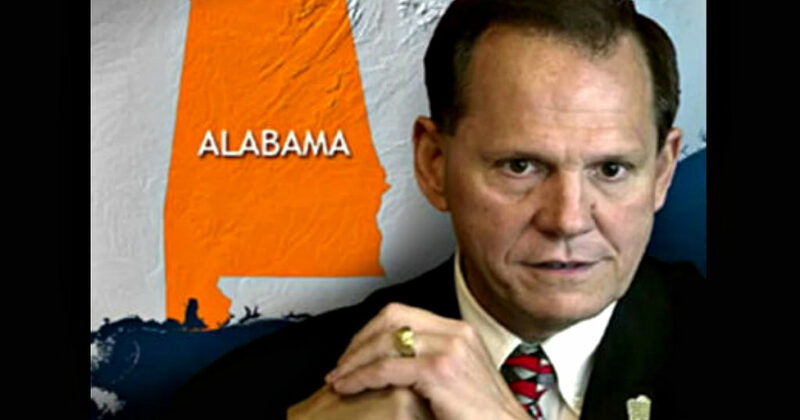 Moore’s opponent, pro-abortion advocate Doug Jones, says in a MSNBC interview with Chuck Todd that, “I’m a firm believer that a woman should have the freedom to choose what happens to her own body.” Perhaps Jones hasn’t considered that a preborn girl in her mother’s womb has her own body with a blood type that can be different then her mother’s and should be afforded the same consideration. A pre-born girl undeniably has human DNA at conception. President Trump, who is pro-life, won Alabama in the 2016 presidential election against Hillary Clinton by more then 28%. The largest margin since 1972.